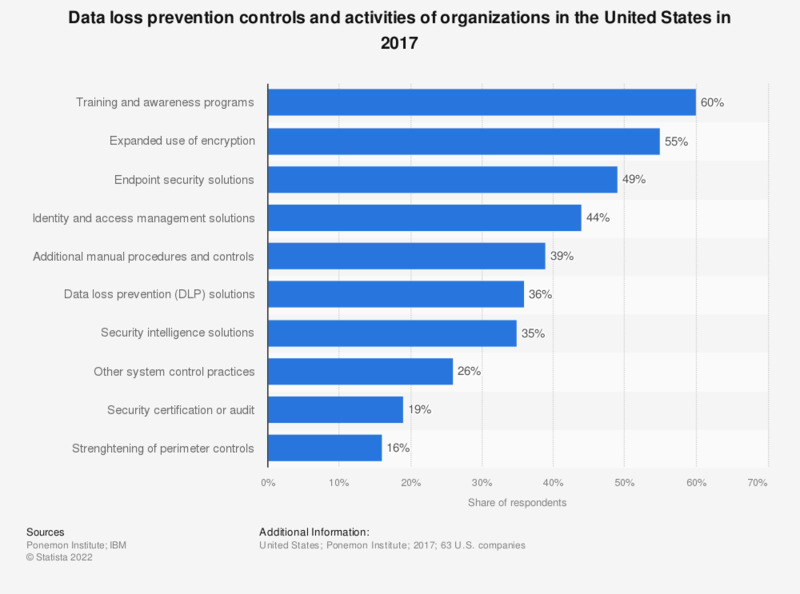 This statistic presents a ranking of common data loss prevention controls and activities of organizations in the United States in 2017. During the survey period, it was found that 35 percent of U.S. companies had implemented security intelligence solutions. The source does not provide information regarding the exact survey date. Companies may be implementing more than one preventive measure.